Earlier last week I posted about the FREE $10 Target Gift Card with any $50 purchase coupon. 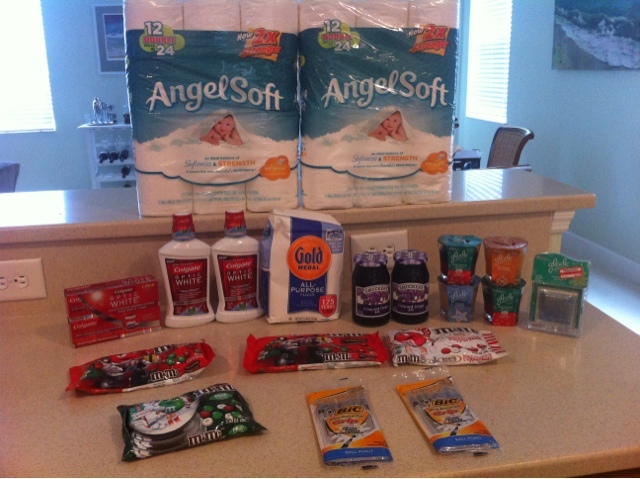 I used it at Publix last Thursday and then on Saturday I took advantage of the deal at Target and Publix again. The best part about this deal is that the $50 purchase could be before coupons and other deals so I was really able to use it to get in an amazing shopping trip. On top of my $10 gift card, I also earned two $5 gift card deals from purchasing Colgate and Glade products. Combine that with all the great coupons and earning $3.25 in Ibotta deposits and I was able to save . I love this time of year because even though I am doing alot of shopping trips my totals have been relatively low so I am able to make the most of our grocery budget while stocking up on things for the holiday party/baking season and for the year in general.